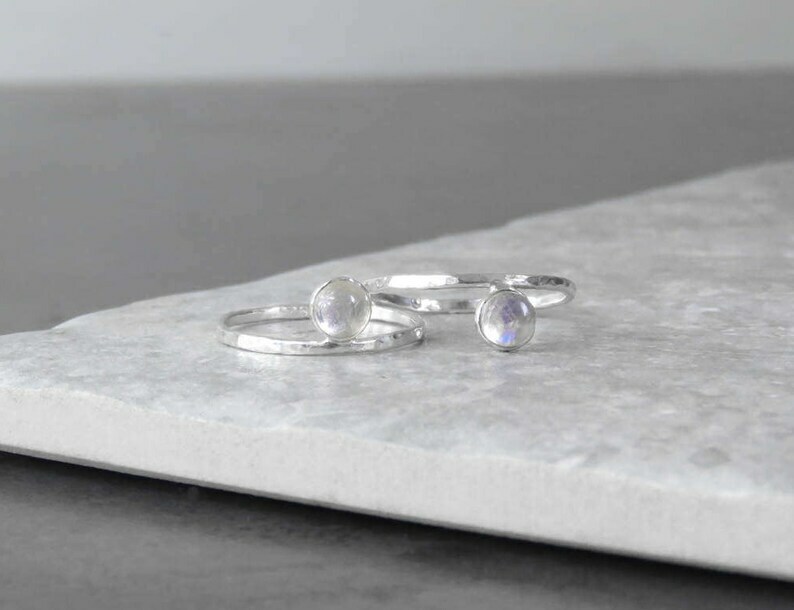 Handmade sterling silver minimalist ring set with a shimmering, semi-precious, rainbow moonstone. This ring was designed to be simple yet uber stylish. It's a delicate design that looks gorgeous when worn alone or teamed with other stacking rings. * Please note that this listing is for one ring only. *If you require a different size then please do get in touch. This ring will be sent First Class, recorded delivery via the Royal Mail. International- Tracked and Signed For Via the Royal Mail. This design will ship within 1-2 business days. Need help or have a question? Please feel free to send us a message. All items are sent in a complimentary cotton pouch.